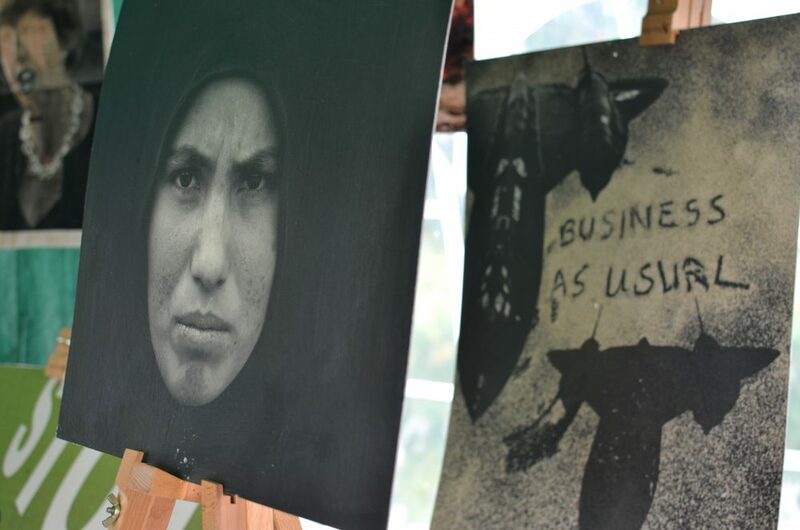 Last September, students, academics and activists from around the world travelled to East London to protest one of the largest arms fairs in the world. One of the (many!) events during the week of protests was Conference at the Gates; an academic action against the arms fair. Below is the open letter which supported the action, originally posted on The Disorder of Things. Last September, about 1500 weapons manufacturers and representatives of more than 100 states descended on London for Defence and Security Equipment International (DSEI) – the world’s largest arms fair. The companies have exhibited products ranging from crowd control equipment and ammunition to fighter jets and military vehicles, which they displayed to militaries, police forces and border agencies from around the world. DSEI is a major event for the international arms trade, and the deals done there play a major role in reinforcing Western militarism, fuelling conflict, repressing dissent and strengthening authoritarian regimes. Last September, the Stop the Arms Fair coalition held a week of action in an attempt to prevent the arms fair from taking place. 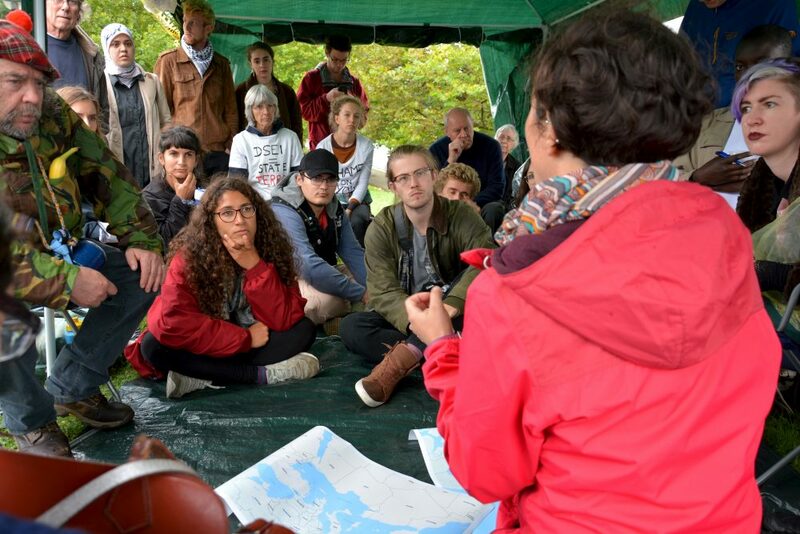 Anti-militarist groups, working in solidarity with activists from countries which have suffered the brutal consequences of the arms trade, held a series of events to disrupt the setup of DSEI. One event during this week was ‘Conference at the Gates’, an academic conference held in front of the arms fair, where participants debated ideas about militarism while taking action to resist it. We support this week of action and Conference at the Gates, and call on the UK government to end its support for DSEI. As academics working on topics related to war, conflict, security, human rights, and international relations, we are opposed to the presence of this arms fair in London, and to the substantial support provided by the UK government to make it happen. It is wrong to argue, as the government does, that the arms trade contributes to security – it fuels conflict, facilitates repression, and makes the world a more dangerous place. In a world of complex challenges militarism should be regarded as part of the problem, not the solution.